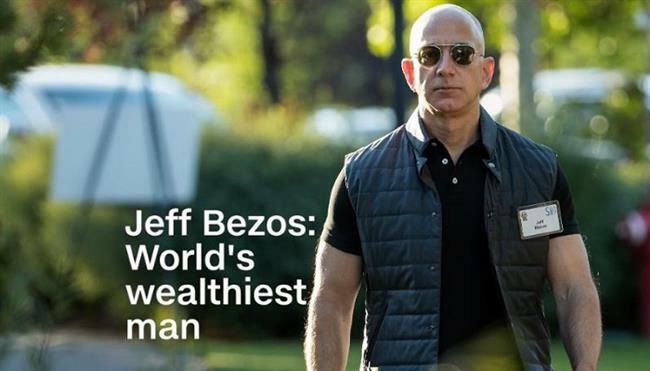 19th June- Amazon founder and CEO Jeff Bezos has become the richest man in the world with a net wealth of USD 141.9 billion, the Forbes World’s Billionaires list showed on Monday. Bezos’ wealth has grown more than USD 5 billion since June 1 to beat Bill Gates, the principal founder of Microsoft Corporation, who is the second-richest man in the world with USD 92.9 billion. Warren Buffet, one of the most successful investors in the world, trailed in the third place with a total of wealth of USD 82.2 billion. Bezos officially became the richest person in the world earlier this year, and his business behemoth of online retailing, Amazon, grew into the second most valuable company in the world after Apple.